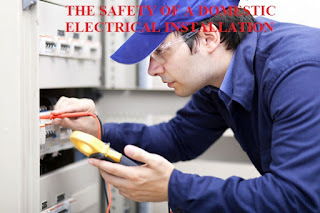 Indispensable in our daily life and especially domestic, electrical installations are present in all our current homes. But these are not without risk and require great caution. Indispensable in our daily life and especially domestic, electrical installations are present in all our current homes. But these are not without risk and require great caution. Installing an electrical circuit requires technical skills and adherence to specific standards to preserve the safety of your family and property. Electrical standards are numerous, evolve over time and domestic requirements. The flagship standard that refers to is NFC15-100, which is mandatory for new homes or for electrical renovations. This device essentially aims to avoid the risks of electrical accidents, electrocutions and other fires. But these rules also aim to achieve energy comfort and to adapt to technological changes. For example, the standard requires a minimum number of outlets or circuit breakers in each room. What is called home electrical installation? Before you physically design your installation, you will have to think about your needs. If you build or restore your home with an architect or prime contractor, it will accompany you in this task. Ducts to accommodate ducts, cables and accessories. The many devices that make it possible to operate the circuit with circuit breakers, switches, circuit breakers etc. When all the components of your circuit are installed, the system is connected to the electricity distribution network. The distribution panel is the core of the connection with the main circuit breaker. Most of the time, by buying a house or an old apartment, the electrical installation no longer corresponds to the current needs and even less to the new safety rules. In order to protect your loved ones, do not hesitate to carry out an electrical diagnosis with a professional. This study focuses on the defects or the dangerousness of the system after verification of the electrical panel, the fuses, the electric bases or the wiring. Following the diagnosis, you will be able to envisage a suitable site. Cut off the main circuit if you want to intervene on the installation. Unplug the unit before cleaning or washing. Avoid overloading the power strips. Respect the installation standards (water rooms, technical constraints, etc.). Inspect your electrical system regularly for abnormalities. Recourse to a professional in case of doubt. The electrical system of a house is a source of comfort and modernity, provided that it respects the rules of installation, safety and use.